The wheels of What Would Jesus Do, Inc. began to officially roll in 1998, fueled by the compassion and determination of one woman, Sherry Schiele. “There’s never a good reason for not helping others,” she would often say, and her legacy continues to resonate the creed that she so boldly lived and proclaimed. 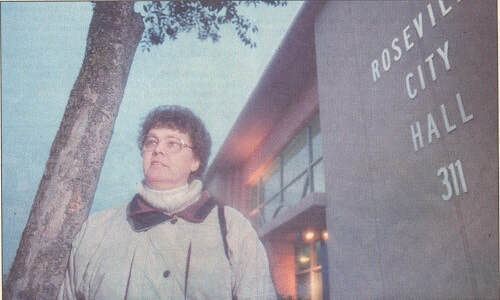 In the 1980’s, Sherry became very active in personally addressing the needs of the homeless community in Roseville. As a fierce advocate for those who had no one to speak for them, Sherry often clashed with city officials in her efforts to find solutions to the problems of homelessness. In spite of objections by local bureaucrats and the many hurdles placed in her path, Sherry’s empathy and determination were never diminished. With a degree in Social Work she may have sought an office with a nameplate on the door, but she chose instead, to make her car her mobile office during her 15 years of social outreach and advocacy. She’d drive around town and stop to talk with people living on the streets, helping each with their specific needs, one at a time. As she peeled back the layers of homelessness, she knew that a change in community awareness was necessary in order to address the ongoing plight of the homeless. In 1998, with this goal in mind, she chose a name for her ministry that would reflect the very principles that guided her decisions, and indeed her life. She incorporated and reserved the name “What Would Jesus Do? Inc.” Addressing special needs and providing blankets, hot coffee and rolls out of the trunk of her “office” became the 5 day work week for Sherry and the expression of Matthew 25:35-40. After 15 years of homeless outreach and advocacy, and only 18 months after placing the “name plate” on the “office door,” Sherry Schiele died unexpectedly on December 22, 1999 at the age of 53. The heartbroken melody of homeless men and women who honored Sherry at her funeral service, were the voices of those that she honored with her life’s commitment. Thank you Sherry…the wheels continue to roll!